Safe places is a scheme to help people with communication difficulties feel safe when they are out and about. 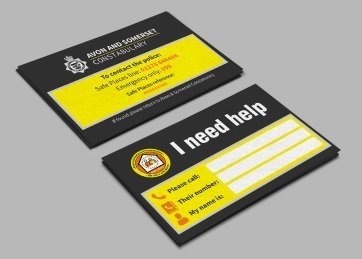 The card will hold details of a trusted contact such as a parent or carer and information about the best way to communicate with the cardholder. For example by speaking slowly or using sign language. Application forms are available from the Avon & Somerset Constabulary. A Safe Place is a location where cardholders can find help and reassurance. Designated safe places in South Gloucestershire include the council office at Badminton road, One Stop Shops and libraries.